Rajesh is currently Vice President & Head of Marketing (India Region) for UiPath, global Leader in Robotic Process Automation, where he is responsible for establishing Brand Leadership, driving Field Marketing and developing partner ecosystem. His 28-year career as a business leader in India and the Asia Pacific mirrors the growth and evolution of the technology sector in Asia. His diverse experience across SAP APJ, SAP India, Microsoft, Perfetti, Pernod Ricard & HCL has given him a unique perspective and in-depth grasp of business transformation and driving growth in varied sectors and situations. For nearly three decades, he has led marketing, sales, Operations & strategy addressing Enterprise, SMB, and consumer markets partner / developer ecosystems. He has worked with start-ups, incubation, emerging markets entry and early growth scenarios in addition to large multinationals. His last assignment was as Head of Audience & Experiential Marketing for SAP in Asia, Pacific and Japan region, where his mandate was to drive transformation of marketing to digital paradigm. He held responsibility for Audience & Industry Marketing, Digital and Social Media, Brand stewardship and customer loyalty for Asia region. He also served as Head of Marketing for SAP in the Indian subcontinent for 5 years, helping drive significant growth for the business. Rajesh’s career spans over two decades, with deep experience in sales & marketing across Technology and Consumer brands like Microsoft, Perfetti, Pernod Ricard & HCL. Besides marketing, his areas of expertise include Direct & Channel Sales, Trade & Alliances Management, Sourcing, Business strategy, Operations and General Management. Rajesh is adept at hiring, motivating, coaching high-performance teams and stakeholder management in highly matrix, multicultural, international environments. Rajesh is a regular speaker at Industry/marketing events and is a visiting faculty at business schools. He is a strong advocate of Digital and his views on marketing have been quoted by many media publications. 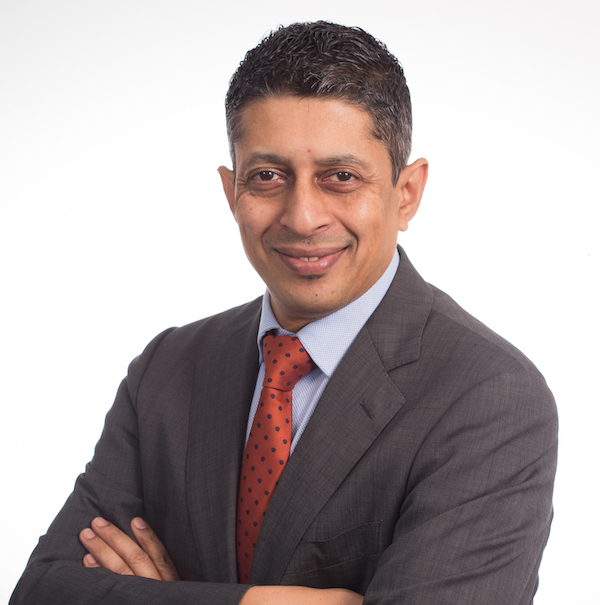 Rajesh sits on APAC CMO Council advisory board and is a member of Marketing Society in Singapore. He has been a member of CII National Marketing Committee, India (2013-14), Chairman- World Brand Congress (2012-2013), and Chairperson of Advisory Council for DMAI convention (2013-2016). He was recognized with Innovation Leadership Award in Asia Pacific & Japan at SAP twice in a row and honored as ‘CMO of the Year’ by VAR India magazine in 2014 & 2018. Rajesh received his degree in Mechanical Engineering from NIT Kurukshetra (1988), MBA from IIM-Calcutta (1994). He has also completed Executive programs on ‘Leading People & Change Management’ from Wharton (2012) and ‘Maximizing Leadership Potential from Harvard Business School (2014) and Digital & Social Media Strategies by Indian School of Business, Hyderabad (2015).